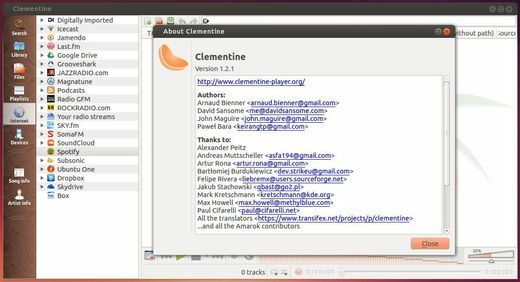 Clementine, Amarok 1.4 inspired music player recently released v1.2.1 with important bug fixes. They are network remote issues, login failures with box.com, and Spotify downloader button not shown issue. Fix library download in the network remote. Fix removing songs from playlist in the network remote. Fix login failures with box.com. (Mac OS X) Add a workaround for a weird font issue on 10.9. (Linux) Fix a typo that would prevent the Spotify downloader button from ever being shown. 3. Source code, and other systems’ installer are available in the official download page. Works wonderfully. Will need to drop Banshee now!